Microsoft has launched its much anticipated Windows 10 operating system for consumers, and the free upgrade for users running Windows 7/ 8/ 8.1 has begun rolling out in waves in 190 countries. The company has opened a reservation system, and those who had reserved the upgrade are due to receive the upgrade via Windows Update starting Wednesday. However, there may be a way to force the download of the upgrade. 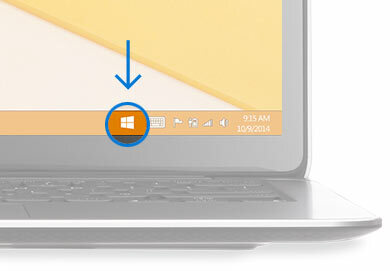 * Click on the small Windows icon located at the right end of the taskbar to get started. * Click “Reserve your free upgrade” in the app window. * Enter your email if you want confirmation of this reservation. For those who do not want to wait, a method of manually forcing the Windows 10 update on PCs, laptops, and eligible tablets is now doing the rounds of the Web. Navigate to "C:\Windows\SoftwareDistribution\Download" folder (You may have to substitute C drive letter with the drive Windows is installed on) and delete all the files. Press the Windows key to open Search and type "Windows Update", which would open Windows Update. Users can also navigate to the particular setting from the system's Control Panel. Again, press the Windows key to open Search bar and type "cmd". This will give a drop down of Command Prompt along with other related options. Do not select the Command Prompt option, but instead select Run as Administrator by right clicking on the option. Once the Administrator: Command Prompt box is opened, type "wuauclt.exe /updatenow" but do not press enter. Go back to previously opened Windows Update menu, and click on Check for updates option placed at the right side of the screen. Once clicked, Windows Update should show "Checking for updates..."
Meanwhile, go back to the Command Prompt box and then press enter on the command typed before. You would then see Windows Update say it is downloading Windows 10. Note, the update is roughly 6GB in size, so users will need to check their data cap before downloading. Before installing the update, it is recommended to back up all the important files and folders already present in the system. Hits: 842, Rating : ( 5 ) by 1 User(s).